Everyone enjoyed the vintage tea party afternoon held at Lumb Valley, with live entertainment from dream world productions. 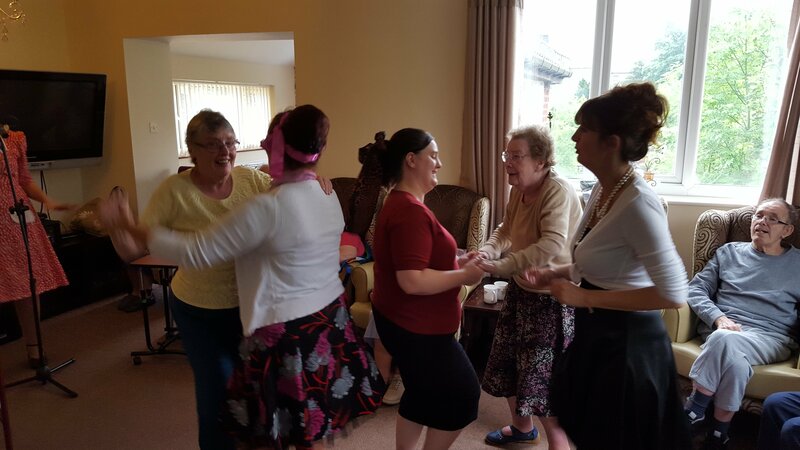 As soon as the music began the residents and staff were on their feet dancing to music they could relate to. To make the most of the glorious summer weather, Lumb Valley had a barbecue on Wednesday. Everyone enjoyed the delicious selection of food, including burgers, hotdogs and fresh salads, prepared by the home’s kitchen staff whilst getting a sun tan and listening to music.